Misha’s Periscope account garnered more than 250,000 likes in just a few days. 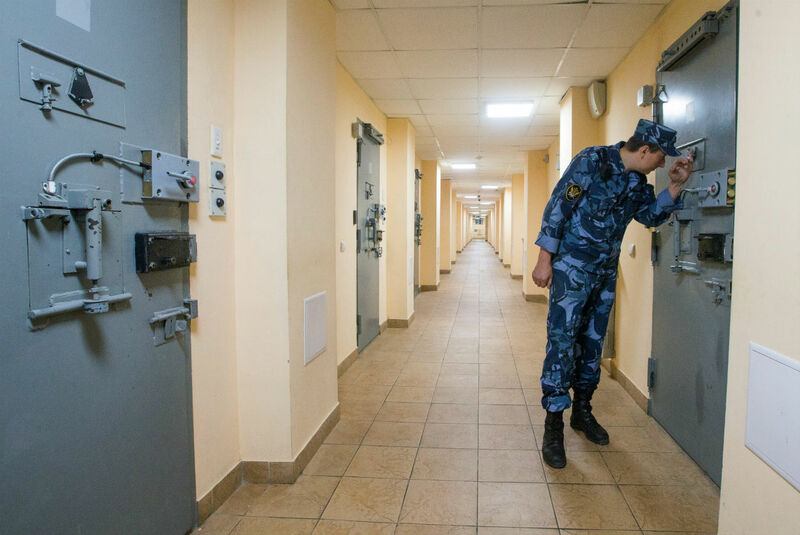 Misha is a convict from Veliky Novgorod who uses his account on the Periscope social media network to talk about his life inside a Russian penal colony. Prison-style backgammon, win a dating contest with a convict, and other forms of strange prison entertainment are now available to users of Periscope, a video broadcasting social media network. Misha is a 21-year old a convict from the city of Veliky Novgorod, and now he is making personal broadcasts from his prison camp. His innovative use of the technology offered by Periscope has given Misha a degree of stardom that he could never imagine when free. At the same time, he is giving Russians their first glimpse inside the country’s legendary prison world. Misha’s Periscope account garnered more than 250,000 likes in just a few days. Though the penal system has a prohibition on mobile phones, Misha somehow escapes the warden’s gaze, and spontaneously airs his life for all to see and also answers questions from the audience. "We're in a medium-security prison, and there are already 267 of us! Incredible!" Misha says with glee. He asks people to `like’ his prison clothing and jokes about his place of confinement, calling it both a children's wellness camp, and a resort. Misha doesn’t divulge the exact location or name of his prison, fearing that he will lose this illicit opportunity to broadcast. While answering questions, Misha reveals that he was convicted for robbery, and then introduces his friend Victor who is doing time for murder. Knowing their popularity, they are not ashamed to invite girls on a date. However, they are "not particularly indifferent to who comes," as long as "everything is in order." "We'll need to organize a casting competition," Misha jokes. "We're casting for the best girl who'll go out with me on a date. She'll be able to enjoy all the delights of a convict." The young men admit that they play cards, "gambling just about everything. The most important thing is to have fun, and not play for money." "We play for cigarettes, and if you want we can play whoever spits the farthest… Or even who can piss the farthest!" In the video they willingly show the backgammon board with a carved out human skull that they made, saying that soon they'll get a "cooler board" with eagles and stars. The Internet signal in the prison is not good, and sometimes broadcasting is interrupted. Subscribers do not mind these technical problems, however, and they continue to ask questions.